Sunshine and flowers, gingham blankets and picnic baskets – some things are just meant to go together. 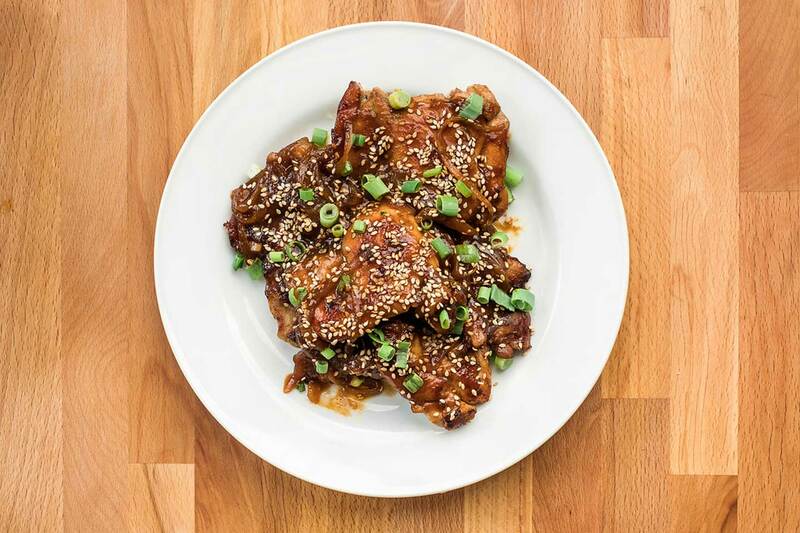 That’s why Chef Stuart Tracy at Chick-fil-A’s test kitchen decided to combine spring’s dynamic duo of sweet tea and barbecue to create this sweet and savory dish. Paired nicely with a Yukon gold potato salad – and a glass of sweet tea, of course – these barbecue chicken thighs are sure to receive any grill master’s stamp of approval. Pro tip: order our freshly brewed Chick-fil-A Sweet Tea by the gallon to serve as the beverage for this meal. We hear it is the perfect drink pairing! Combine sweet tea, water, onions, garlic, salt and chicken thighs in large plastic bag. Close bag and gently shake until everything is well combined. Marinate in refrigerator for 1 hour. While chicken is marinating, prepare potato salad. Cook potatoes in simmering water until tender (about 20 minutes). 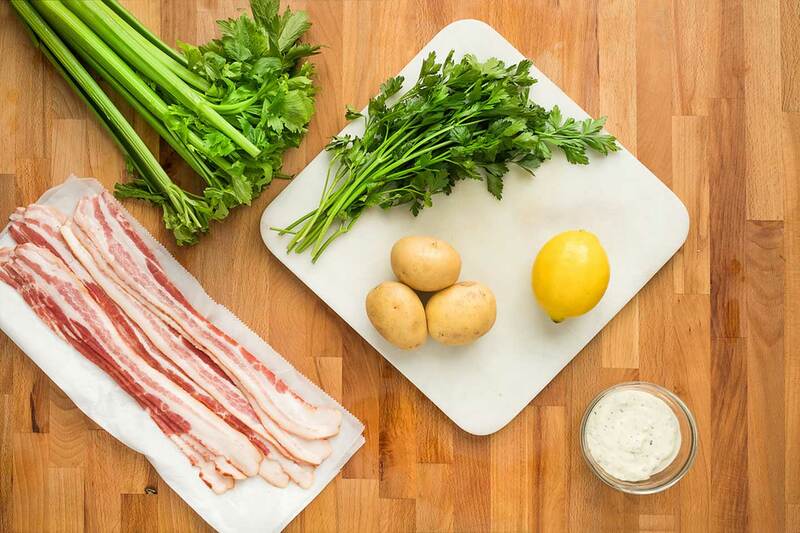 Drain water and combine potatoes with aioli, lemon juice, parsley, bacon and celery. Remove chicken from brine. Put brine aside. Pat chicken dry. 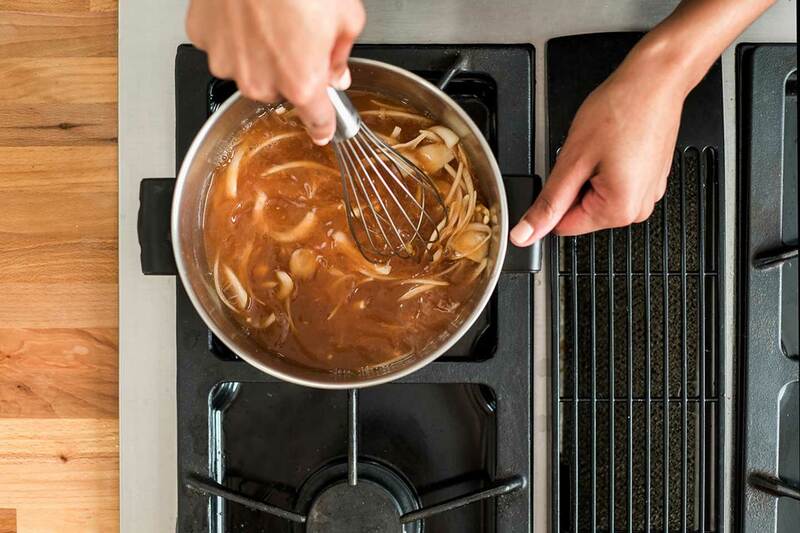 Place brine in a small pot with ketchup, apple cider vinegar, hot sauce and soy sauce. Bring to a boil and reduce by two-thirds, until about the thickness of maple syrup. 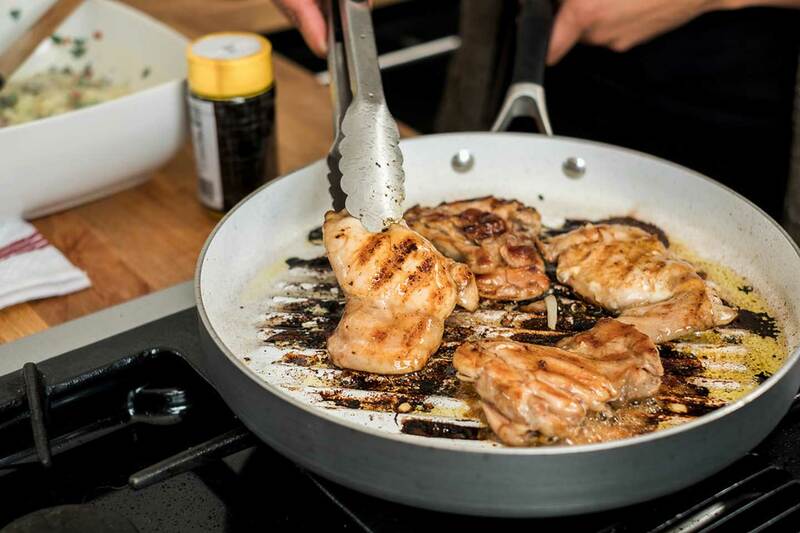 While the sauce is cooking, heat grill or grill pan to medium heat. Brush the grates with a towel dipped in vegetable oil to minimize sticking. Add chicken thighs to grill and cook until well done (about 7 minutes per side). 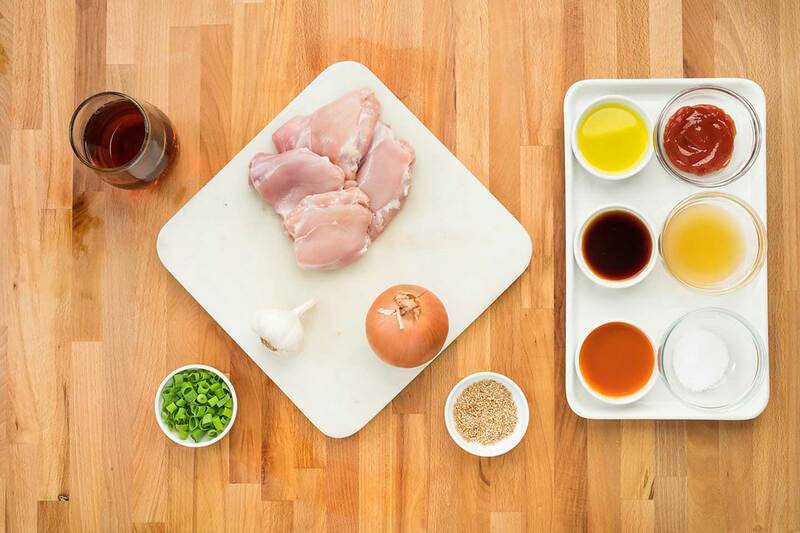 Glaze the cooked chicken with the finished sauce, sprinkle with sesame seeds and scallions. 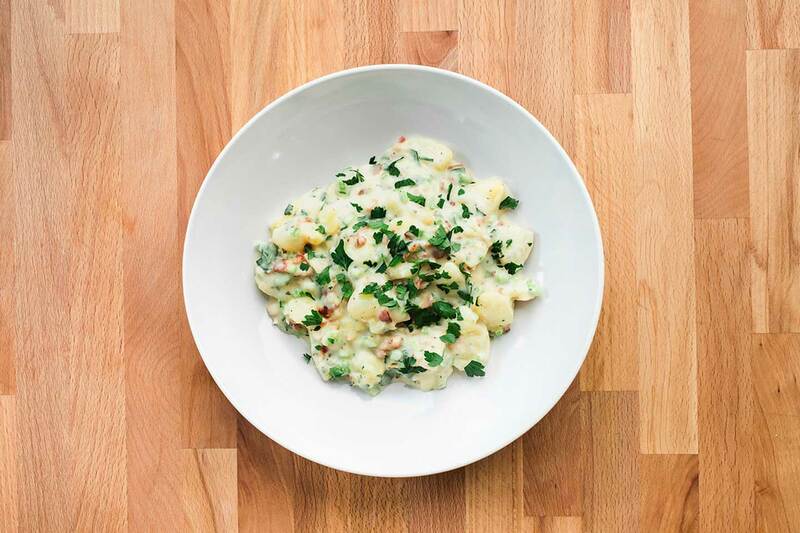 Serve alongside the potato salad and enjoy!